At Expert Business Advice, we’re all about building on the basics. Here’s a great place to start! STARTING UP A BUSINESS may be a thrilling experience to startup entrepreneurs. It is an anxious time when many entrepreneurs want to test the life of being in business. However, many get frustrated after few days in business when they find that the smooth flow they were expecting is the exact opposite. The bottom line is that building a new business is very challenging. Furthermore, it is an endeavor that is riddled with competition. As a startup, you should be ready to resist the pressure. The first challenge you will encounter is looking for the strategic place to locate your business. Preparation will help the start-up process be much smoother. If you are not interested in working for someone else, all you need to understand are some basic principles of running a business. The first principle you need to understand is to get the basic documents that are needed. To avoid the authorities, it’s good to look for the basic documents like a business license and certificates. 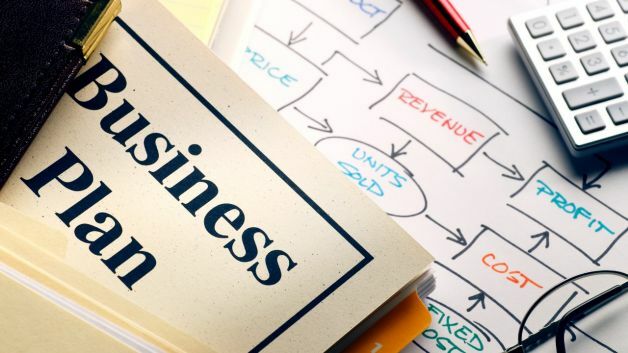 Without a strategic business plan, no business will prosper. This is why you need to come up with a realistic plan. This is what will act as a guide toward your success. The kind of plan you come up with should be all-inclusive yet flexible. Have targets to meet with your plan and work toward achieving them. It is of great significance to remember that a good plan is one that will cover all of your bases from conceptualization to profit. If you don’t have enough skills to come up with the best plan, then you can make use of experts. You can also make use of templates to know how to matrix your businesses plan completely. It’s good to know the kind of products/ services you are going to be selling. As a prospective entrepreneur, you should know what you will be offering to customers. It is good to determine your target market and how you will convince them to make use of your products and services. You should be aware of the best advertising methods to utilize. Some of the best means are radio, television and Internet. Competition is another thing that you need to be aware of. There are many contenders in the same field you are eyeing. This is why you need to be aggressive so that you are the best. What will see you beat the competition are the management skills you have and the dedication. As a business person you should be ready to go a mile ahead. You should be ready to sacrifice your time and money to get tips on how to succeed in this industry. Finally, market testing is a no-miss tactic that every prospective entrepreneur should do before they try to start a business. You could be the most resourceful person in the world with the greatest product ever invented, but if your market won’t bear what you’re selling, nothing else matters. For instance, if you want to open a luxury clothing store in a town with an average household income of $24,000, you probably won’t sell much there.